The old-time politicians have nothing to show for 17 years work even though 70% of the people want the Dream Act. 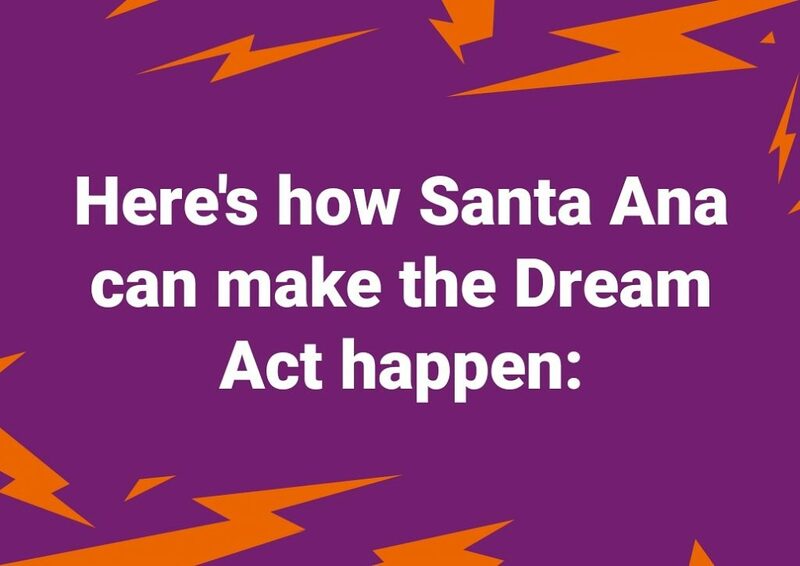 Voters in Santa Ana, CA are the key to the Dream Act for the entire nation because you will determine whether an independent goes to Congress. We can be the first district in a century to elect a true independent to Congress, not a Democrat or Republican pretending to be an independent. If you want to resist, if you want to make a difference, why would you elect an old-school, millionaire, 16-year, career politician? Tell your friends and neighbors about me, that I’m a working neighbor in your district. Tweet this message, Facebook post it, e-mail it. Don’t let the dream die! Go to www.rushman.org and print the flyer in Spanish, English or both. Hand these out in Santa Ana, West Anaheim, check here for what areas are in the district. Vote for Ed Rushman in the primary, June 5. We need 50,000 votes to send a strong message to Congress. Vote in November, too. We win. I start working. The media go crazy that a real independent gets in for the first time in ages. Identify every member of Congress who will vote for the Dream Act or could be persuaded. Speeches in the capitol. Interviews with the media. I’ll never lose focus, even when events might distract. I’ll never give up. I’ll build support until we have enough to override a veto. We bring it for a vote and win. 100 days. Here is my agreement with you, the people: you do the first five steps and I’ll do the rest. You start this and I’ll finish it. Deal?